"He is the only president to have lost Philippine territory." Subsequent to former President Benigno Aquino III'S press briefing on June 4 where he claimed that he fought vigorously against China's incursion into the West Philippine Sea, former diplomat and now writer Rigoberto Tiglao criticized him claiming that he is the reason why the Chinese forces in th territory are aggressive in the first place. Tiglao in his column for the Manila Times on June 8, said that Aquino's press briefing where he emphasized that it was he who filed the arbitration case and campaigned among Asian countries, and it was his administration who produced statements more critical of the island development of China. "Of course he did this – which were, at the end of the day, blah-blahs that got us nothing but nods of approval from the US. He instead stirred up China’s as well as Malaysia’s animosity which President Duterte mightily, and successfully, reversed," Tiglao said. After claiming that Aquino was the only President to have lost Philippine territory, Tiglao noted that Aquino's father, late Senator Benigno Aquino Jr. also caused the country its claims over Sabah, now owned by Malaysia. The talk is that the late senator promised Malaysia the islands if they support him for his campaign to oust the Marcoses from power. Marcos was then planning to take over Sabah by force. "They did this in a very sneaky way by concocting—and then calling for a congressional investigation—the Jabidah hoax in which they claimed Muslim recruits for Marcos’ project mutinied and were subsequently killed. Two months of investigation by the Senate and the House of Representatives concluded that no such massacre occurred. Warned of the plan, Malaysia mobilized its forces to tighten its hold on Sabah. Worse it trained and funded what would be the Moro National Liberation Front, which ironically tried to violently secede Muslim areas from the Republic," Tiglao said. He added that four decades later, Aquino's son as president lost Panatag shoal "because of his bungling." "April 10, 2012: Even as Panatag Shoal had been traditionally an area where small fishermen from whatever country could fish, as a kind of concession for reaching such a far-flung fishing site, Philippine Navy surveillance ship board eight Chinese fishing vessels anchored in the shoal’s lagoon. They try to arrest the Chinese fishermen for illegal fishing and “harvesting endangered marine species.” However, two civilian China Maritime Surveillance (CMS) ships come to their rescue and prevent the arrests. April 11, 2012: Itching to try his new warship, President Aquino orders the frigate BRP Gregorio del Pilar – just “brand new” as the US coast guard had refurbished it and turned it over to our navy in May 2011 – to confront the Chinese at Panatag. “What is important is we take care of our sovereignty. We cannot give [Scarborough Shoal] away and we cannot depend on others but ourselves,” Aquino blustered. April 12, 2012: Three CMS ships enter the shoal, bringing with them a flotilla of 31 Chinese fishing boats and 50 dinghies. The number of CMS vessels in the days that follow increases to 10. BRP Gregorio del Pilar – unexpectedly – leaves the area, according to Navy Flag Officer in Command Alexander Pama, “to replenish fuel and food provisions” in its base in La Union. That was a lame excuse. Aquino was told by Washington that sending a naval warship was a stupid move, as it made the Philippines appear as the aggressor. While CMS vessels have been practically China’s muscle in enforcing its claims in the South China Sea, these are officially civilian, part of its Ministry of Transport’s Maritime Safety Administration. Aquino played into China’s hands as the Asian power claimed to the world that the Philippines had militarized the dispute by sending a “warship,” even though the vessel was a hand-me-down from the US Coast Guard. China, therefore, felt it had the right to retaliate and occupy the shoal. When BRP Gregorio del Pilar leaves, Aquino orders a vessel from the Bureau of Fisheries and Aquatic Resources (BFAR) and two Coast Guard vessels to remain near the entrance to the shoal’s lagoon. A stand-off ensues that lasted three weeks that May. Late May to June 2: Aquino appoints Sen. Antonio Trillanes as his secret, special envoy and to go to China and talk with his contacts to resolve the standoff — without informing Foreign Affairs Secretatary Albert del Rosario. After his trip to Beijing, Trillanes tells Aquino that the Chinese agreed on a simultaneous withdrawal of the Chinese ships and the Philippine vessels. June 4–10: Philippine vessels leave the lagoon, with Aquino claiming he was told by Del Rosario that American mediators got the Chinese to agree to a simultaneous withdrawal. The Chinese don’t leave the shoal, and instead sent more civilian maritime vessels. Trillanes was furious, claiming he was still talking to his Chinese contacts on the mechanics of the withdrawal." Tiglao noted how up to this day, there is no proof presented by either Del Rosario or Trillanes on the claimed simultaneous withdrawal. He said Chinese strategists had brilliantly manipulated Trillanes and their US contacts to fool Aquino that they would withdraw their ships from Scarborough if we did, but they did not. He said that the Congress could have probed into the loss, but they were puppets of Aquino. The government of the Philippines is in no position to even begin to contemplate the use of force to recover Scarborough, and the United States is not going to become involved in any attempt to expel the Chinese. "Prodded by the US which provided Washington-based lawyers, Aqiuno in order to cover up his government’s bungling filed the UNCLOS case against China in January 2013. Whatever the purportedly favorable provisions of the “arbitration award,” the Chinese – and the world, even Vietnam and Malaysia that are claimants to many islands and reefs in the South China Sea – have ignored the arbitration award." He said it was such an irony that Marcos is being painted as the one who lost territory for the Philippines when he grabbed in 1974 an area in the Spratlys, including its islands and reefs, naming it the Kalayaan Island Group and making it part of Palawan province. Marcos claimed the area was “terra nullus,” or lands no country claimed,even if Vietnam and China had claimed it and filed diplomatic protests against the Philippines in 1956 when Tomas Cloma stumbled into the area and claimed it for his own. 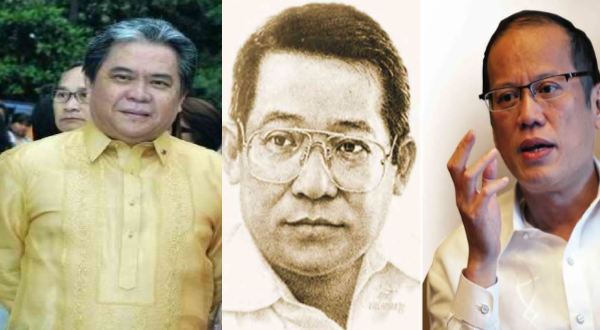 Tiglao said that in territorial disputes, power and brains matter, but the former President had neither.